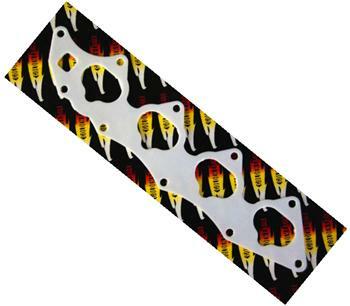 Golden Eagle Thermal Shield Intake Manifold Gasket - Dezod Motorsports Inc - Home of the automotive performance enthusiast since 2002. Golden Eagle Thermal Shield Gaskets will reduce heat soak between your intake manifold and your head. Made from virgin sheet material with high heat deflection, these gaskets have a max operating temperature of 500°F/260°C.